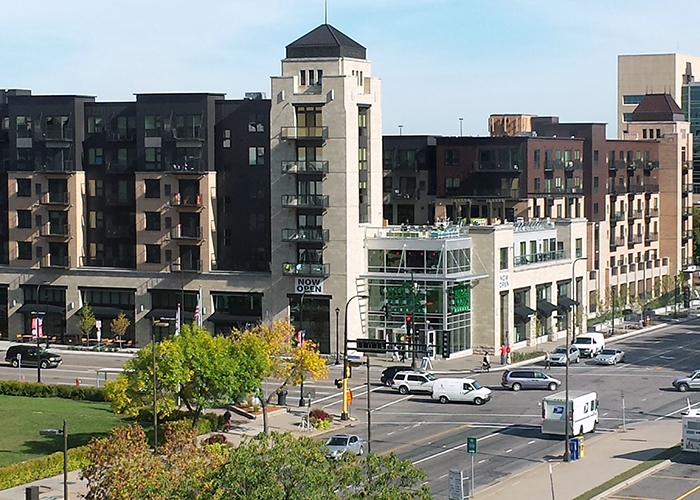 222 Hennepin is the adaptive reuse of an existing multi-level auto dealership, consisting of 287 luxury apartment units, a 45,000 square foot Whole Foods Grocery store on the ground level, and parking. 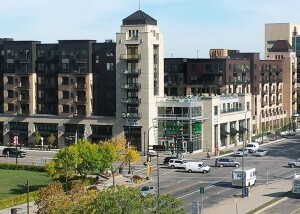 The project also includes two interconnected, six-story buildings and refurbishment of the existing parking ramp, a green roof terrace, and a swimming pool. The existing building is constructed using cast-in-place concrete structural systems. 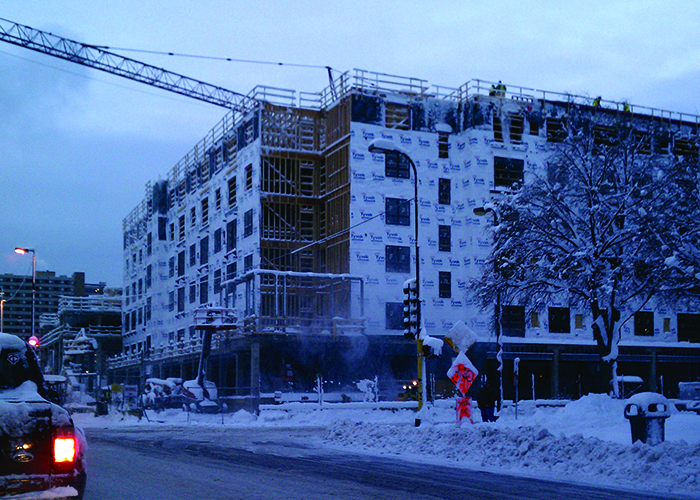 New construction materials include wood frame construction for the five stories of residential space over post-tensioned concrete podium slab. The new parking and retail space is constructed using cast-in-place concrete.